In 2014, Fien Dekker graduated from the Design Academy with her project ‘Rain(a)Way’. Her interest for rainwater grew stronger during a journey through Africa, where people have hardly any rain and even long for rain, whereas rain in Europe generally arouses negative feelings. Immediately after her studies, Fien founded a design studio of the same name based on the vision of her graduation project. 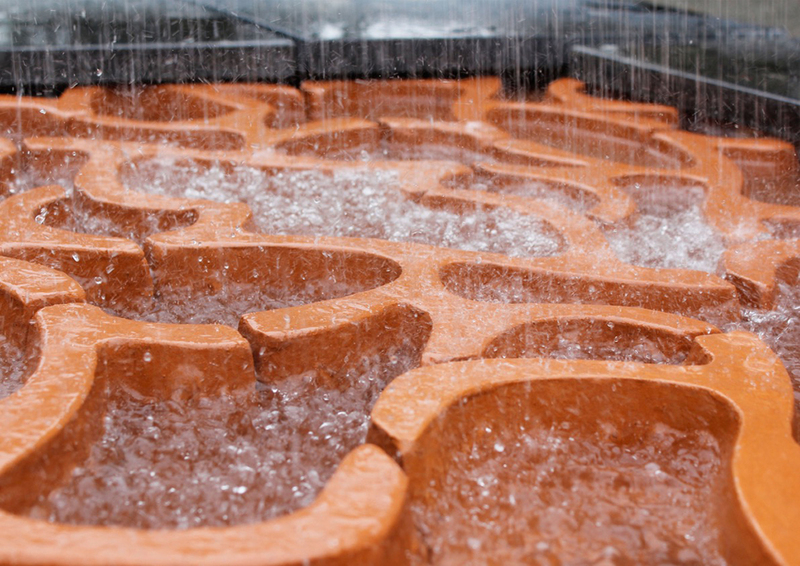 Her design Rain(a)Way ‘Flood’ is a tile that can visibly accommodate the rain water. On the one hand, this contributes to a solution to the problem and, on the other hand, the rain water becomes visible in an attractive manner. 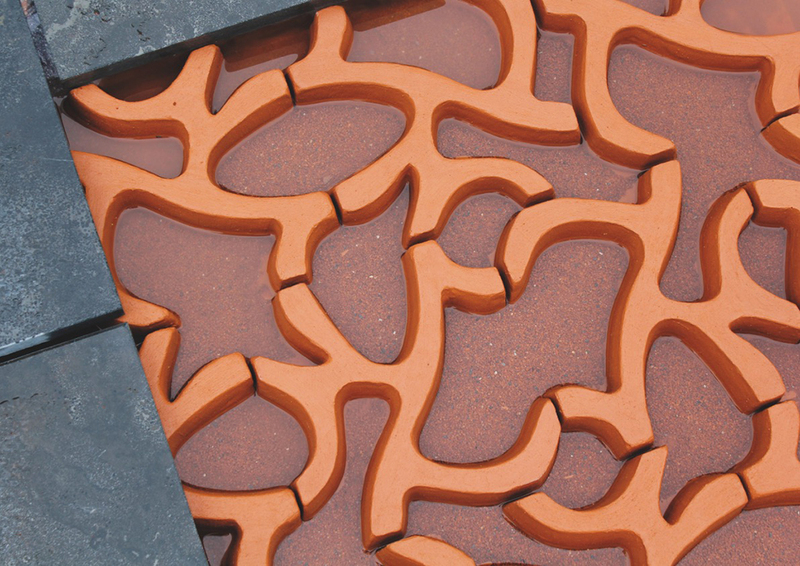 The ‘Flood’ tiles can be laid in every possible way to create random patterns. They are not meant to walk on, but they function as a visual detail in the public space. However, to create pedestrian routes, step tiles can be superimposed on the stones. The tiles are available in ten variants. 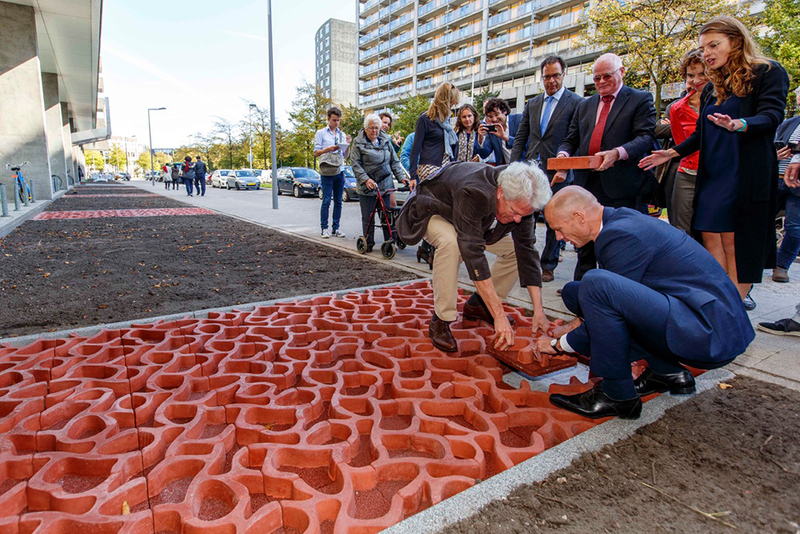 The first tiles have been laid recently in Rotterdam by Delta Program Commissioner Wim Kuijken and Special Envoy for International Water Affairs Henk Ovink.